You have been selected for consideration of a promotion! 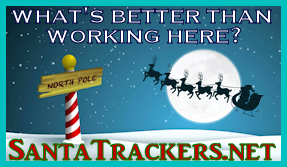 You can now go to SantaTrackers.net and apply for the job of Santa Tracker Elf. 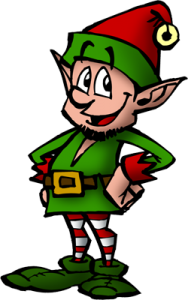 You will need to use the invite code “Early Elf” in order to gain access. Only those with this code will be approved at this time. Just select “sign up” and use the code to get in! This special area of Elf HQ is designed to help you do your job as an elf. It defines what you do and connects you to appropriate areas of the North Pole. Santa’s Secret Spies — Click below to submit a Santa Secret Spy report. As a secret spy for Santa your job is to observe local conditions and report them to the North Pole. You goal is to make Santa aware of any dangers or circumstances that he might need to know before he delivers to your neighborhood. This is one of your most important jobs! Santa Tracker — You probably already do this on your own but Santa requires it of each elf, too: your job and your duty is to track Santa. Get yourself either a globe or a world map and actually mark down where Santa is on his flight as he makes his way around the world. Listen to the news updates as they are broadcast on Kringle Radio. Read the news reports as published at Santa Update.com. This function does not require you to report anything to the North Pole. But if you are to do any of your other jobs as listed above you have to know where Santa is at all times.